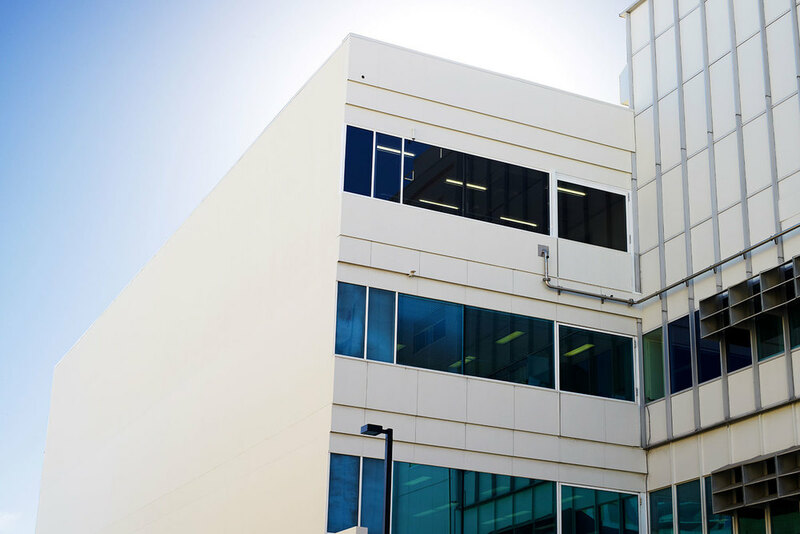 Lotterywest’s centennial gift to the Red Cross gave them the vital funding they needed to proceed with the construction of the 600m2 level three extension to their existing facility. Through the ABN Group’s charitable relationship with the Red Cross, PACT Construction was invited to submit for the competitively priced tender, which they were delighted to win. 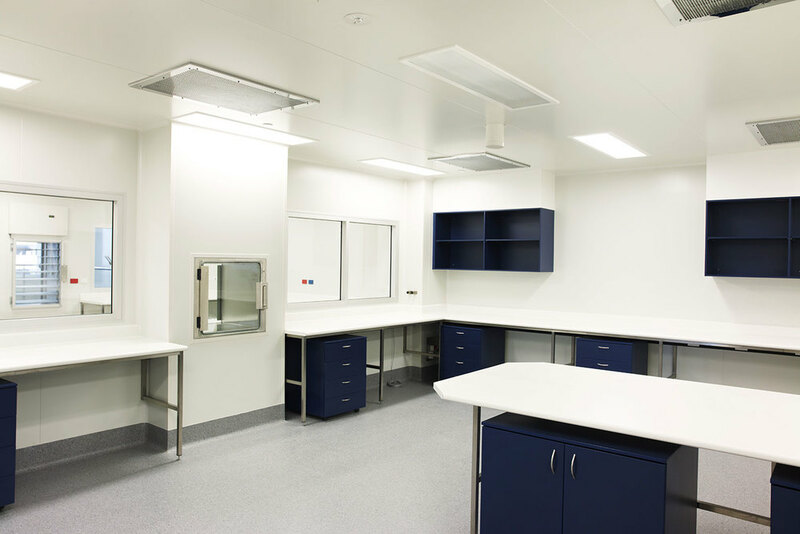 The extension, which was required to integrate perfectly with the existing building, would comprise offices, staff administration facilities and ‘clean’ rooms for blood cord to be taken, kept and cryogenically frozen for use in the future. According to Jason Kunkler, General Manager of PACT Construction, the company was more than up to the task. “We selected a lightweight concrete structure with structural steel roof because of the applied loads to existing footings, which enabled us to speed up the build process,” he explained. 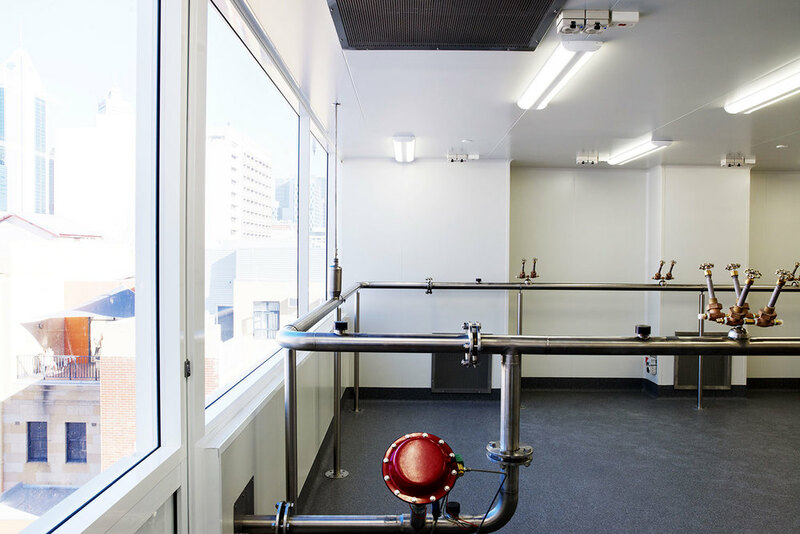 The high level medical use of the building required extremely strict hygiene control. The meticulous extension had to take place while the current building remained fully operational. “We were operating right above people working in the existing building, requiring us to coordinate all noise, vibration and dust so that it didn’t disrupt their duties,” recalled Mr Kunkler. Adding to the complexities of the project was its location. The site is bounded by Wellington Street at the front, a Youth Hostel to the west, PTA rail lines to the rear and a major Western Power substation to the east. “Main roads and public transport routes surrounded the site,” informed Mr Kunkler. “We overcame this through meticulous planning, programming and communication. We also constantly reviewed and monitored our activities so we didn’t affect the other property owners. The Red Cross project proved a rewarding experience for the client, the community and PACT Construction. “This was a great opportunity to further strengthen our project management and communication skills,” affirmed Mr Kunkler.